Are Detoxes, Cleanses, & Green Drinks a Good Way to Lose Weight? It might seem like a good idea and even one we could stick to, but there is usually a good amount of restriction and the ALL or NOTHING approach to these types of detoxes and juice cleanses. We restrict and cleanse for 3-5 days, and then all we can think about is all the food we aren’t able to eat, so after the cleanse or detox is over, we usually end up binging on our favorite foods. I think doing cleanses, detoxes, and juice/liquid diets are not the best way to jump start weight loss. All it’s going to do is jump start a Yo-Yo cycle. You may lose weight initially, but these extreme conditions are not sustainable, and the extremes will either cause you to binge on junk food, or you will gain the weight back just by eating your normal diet again. Also, the Yo-Yo cycle is not good for us to do long term. It damages the metabolism, making weight and fat loss even harder, especially as we age. 1. To cure a Medical Issue: People with Cancer, Candida, &/or Digestion Issues may benefit and become healthier by doing cleanses or detoxes. However, cleanses and detoxes are best overseen by a Homeopathic, Naturopathic, or Medical Doctor for the best results. Please don’t start taking weird supplements or drinks that you don’t understand. 2. Food Elimination Diet: There are people who have major digestive issues, chronic pain, &/or major bloating after or between meals. This is a situation where it may be appropriate to do a cleanse or detox before certain food groups are eliminated to find the food allergen or cause of the previous mentioned symptoms. Again, this is best overseen by a medical professional. 3. Drinking Green Drinks or Smoothies CAN make you healthier! Drinking Greens/smoothies are a great way to balance the PH of the body and make it easier for you to burn fat and build muscle. There are tons of vitamins and minerals in these types of drinks. However, watch the SUGAR content. A drink composed of mainly fruits will make the sugar content way too high and will be detrimental to fat loss. Look for a drink that is under 10 grams of sugar. I would use this drink as a snack or a quick meal on the go. Before you start your next cleanse, detox, or juice diet, ask yourself, “Can I eat this way or do this plan FOREVER?” If the answer is, “NO,” then most likely the RESULTS that you’ll receive from this restrictive approach will be temporary and not sustainable! In my opinion, the best way to jump start your fat or weight loss, would be to start incorporating a source of lean protein and veggies at most meals. 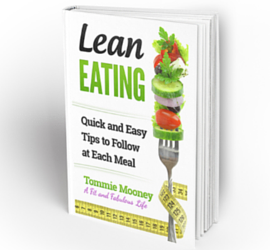 Click HERE to Start Building Healthier Meals with my FREE Lean Eating Guide! There is a psychological satisfaction of chewing food, so drinking liquid meals will leave us feeling deprived, searching for more food, and we won’t be able to keep this up for the long term. If you want to add a Green Drink or Smoothie to improve your health, I suggest using it as a snack, or replace breakfast with it, as it’s easy to to do when we are on the go! What has been your experience with green drinks, juices, &/or cleanses? I’d love to hear your thoughts or suggestions in the comments below! ← How Do I Get More Willpower? Just Say NO to KETO! My $.02 on the Keto Diet. Instead of a Cheat Day…Try This! All the information found on this website is published in good faith and for general information purposes only. I do not make any warranties about the completeness, reliability, and accuracy of this information; as topics of wellness, nutrition, and fitness are always changing. Any action you take upon the information from this website &/or the products offered is strictly at your own risk. Please honor your body and any food sensitivities, allergies, or beliefs that you currently have surrounding your nutrition and wellness. Please do not do any exercises that you do not understand how to do properly. Take into account any pain or injuries that you have and practice self-care. Remember, pain is a signal that something isn’t right in the body. Listen to it! Furthermore, you understand that participating in exercise bears certain risks which could result in injury or damage, including, but not limited to physical injury to the legs, knees, back, hand, or other parts of the body, injury to or strain on the cardiovascular or respiratory systems. You assume all risks and responsibility, and are electing to voluntarily participate at your own risk. This website has links to other websites and sources. While I strive to provide only links to useful and ethical websites, I have no control over the full content and nature of these different sites and sources and do not recommend all the content found on these sites. Sometimes I receive an affiliate commission, and other times I don’t. Furthermore, I am not a medical practitioner, certified nutritionist, &/or dietician and cannot prescribe any specific diet plan or diagnose any medical disorders, food sensitivities, or allergies. I have a B.S. in Kinesiology, with an emphasis in fitness, nutrition, and health. I am also a Certified Health Fitness Specialist through ACSM. I have over 10 years experience in the health and fitness field, and most of the info found on this website was written from what has worked for me personally and with the clients I have worked with over the years. For more information, please contact Tommie Mooney at Being-Fit® Fitness Centers at 858-549-3456 or info@tommiemooney.com. Are You in the San Diego Area? Come and visit me LIVE at Being-Fit Fitness Centers, the fitness center that I own. It's a friendly, neighborhood gym where FUN meets FITNESS! Our mission at Being-Fit is to create the space for people to experience being-fit while having FUN! At Being-Fit, you will make new friends and find a community of people like yourself, who strive to improve their well-being.